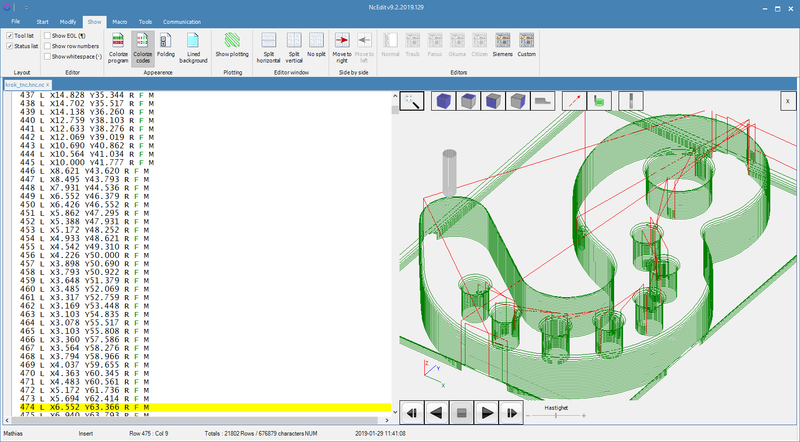 NcEdit is the ultimate tool for the modern CNC programmer. The program is extremely user-friendly and uses all the standard windows functions. NcEdit communicates with most of the controls on the market, both new and old. If the controller accept drip feeding (sometimes called TAPE MODE) you can use NcEdit to run programs that are to big to fit in the controllers memory. RS-232 communication and Network communication is built in. For network there is FTP (client), TNC network and Fagor. MicroTech StellaData have more than 30 years of experience in CNC-communication and have setup instructions and cable configurations for most of the controls on the market. Download now and see for yourself. Try the limited version free for 30 days.